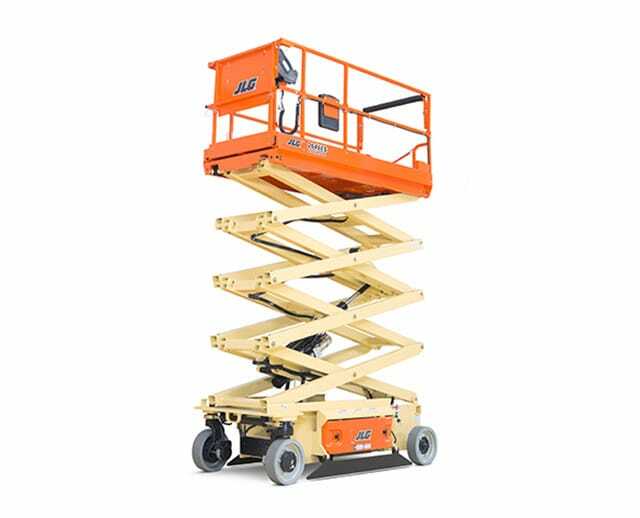 The 40 ft wide electric scissor lift is designed to support several workers at once with its aerial work platform. 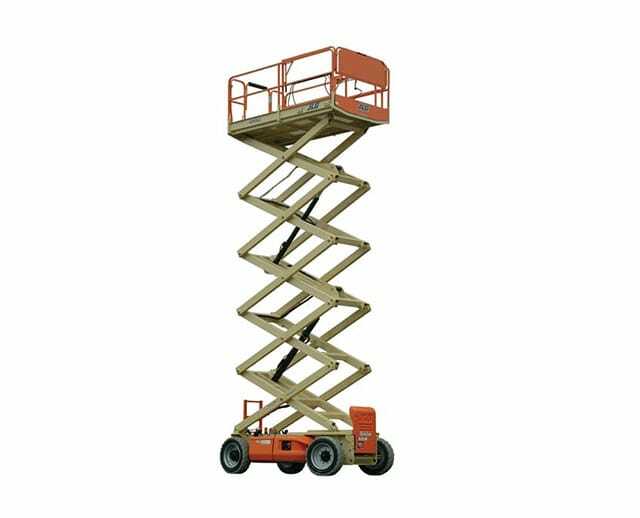 Beneath the platform, there are bar-style struts which interlock as they extend vertically, establishing latitudinal stability so occupants can work safely for long periods of time. 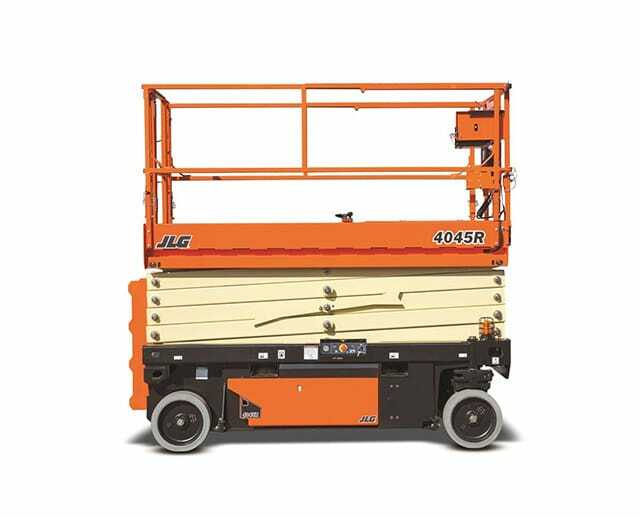 With its 40 ft of vertical reach, the electric scissor lift is generally used indoors for building maintenance or on construction sites, but can also be used for outdoor applications as well. 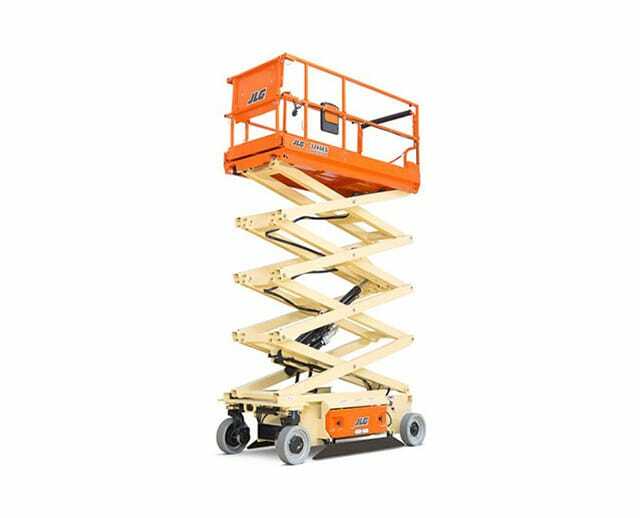 Ceiling work, bricklaying, light fixture maintenance, or even high-ceiling mural painting are ideal jobs for a scissor lift.